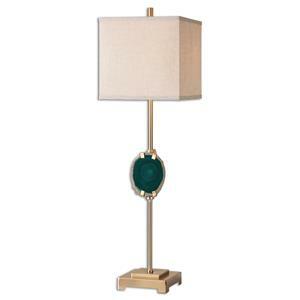 Metal Base Finished In A Plated Brushed Brass Displaying A Cut Slab Of Emerald Agate Stone. 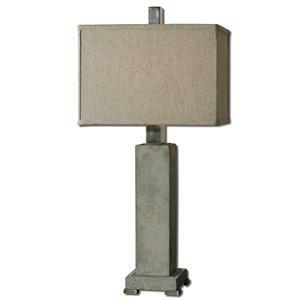 The Square Hardback Shade Is A Rust Beige Linen Fabric. 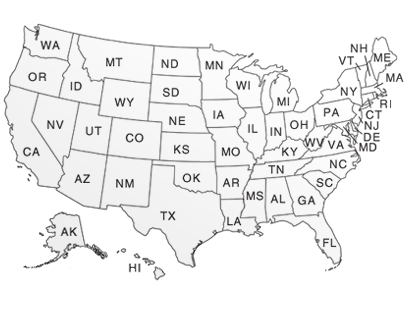 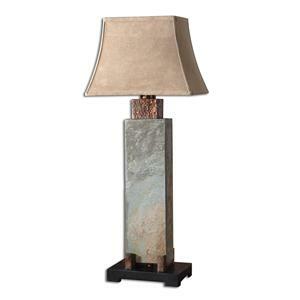 The Natural Stone Will Vary Slightly In Color And Shape. 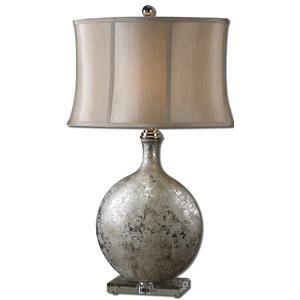 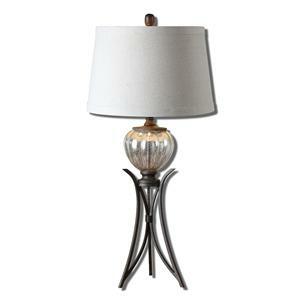 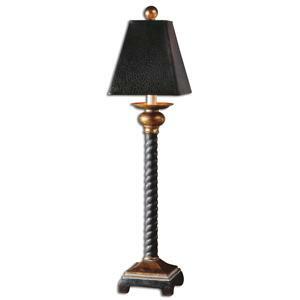 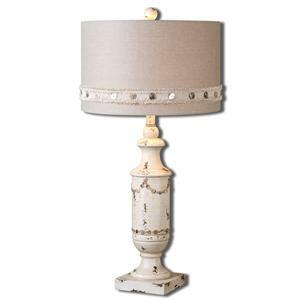 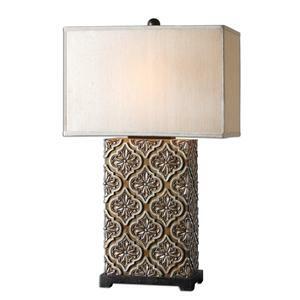 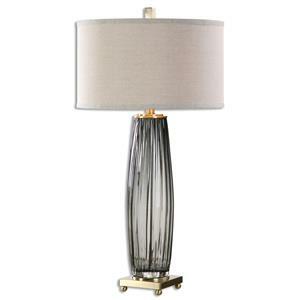 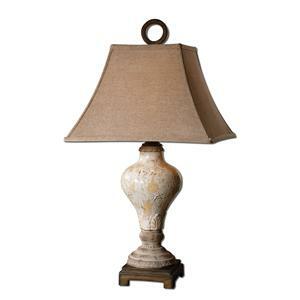 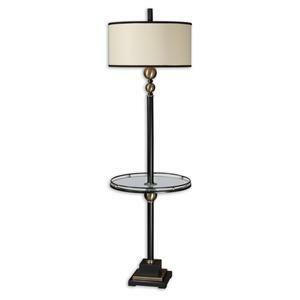 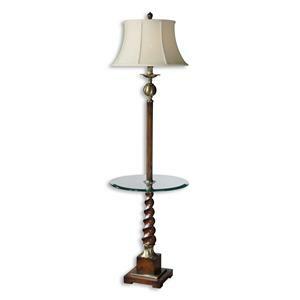 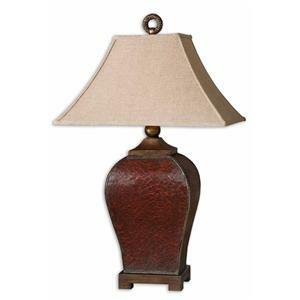 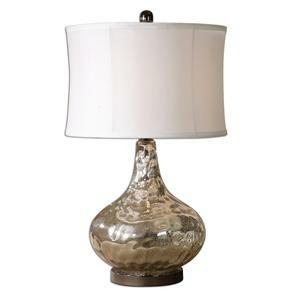 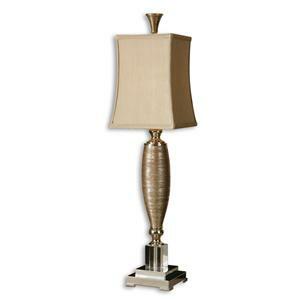 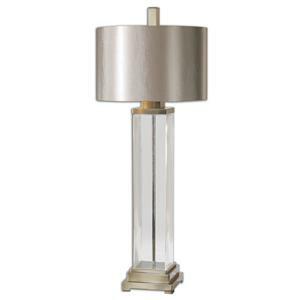 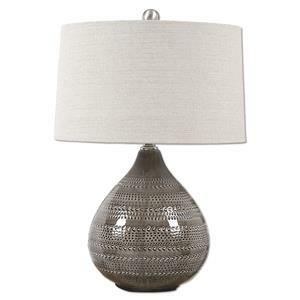 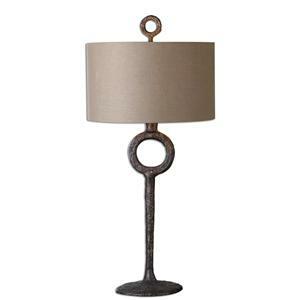 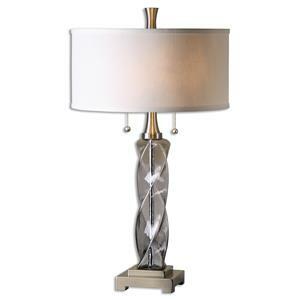 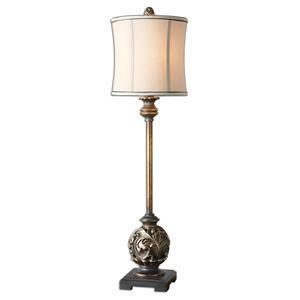 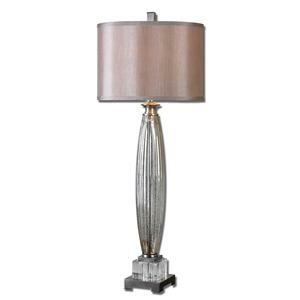 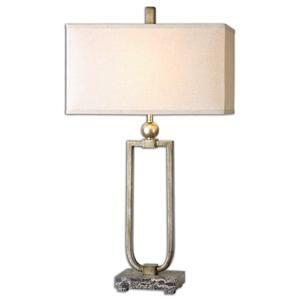 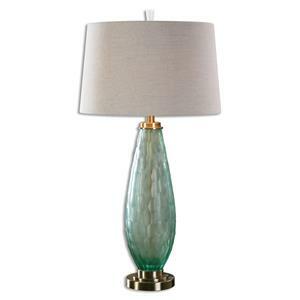 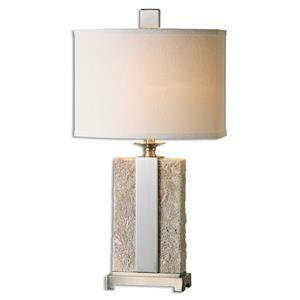 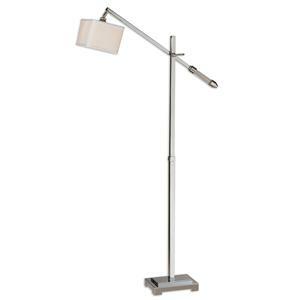 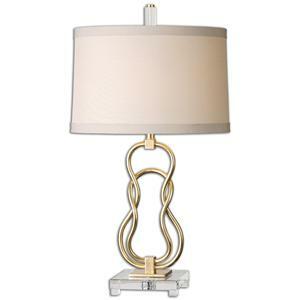 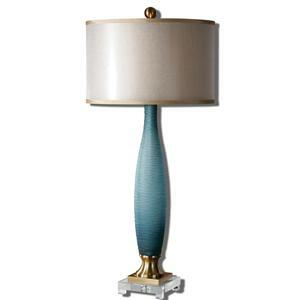 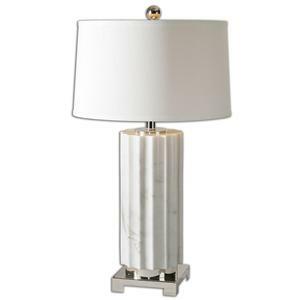 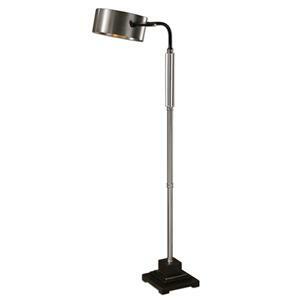 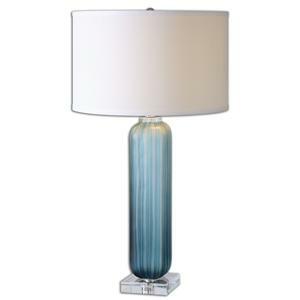 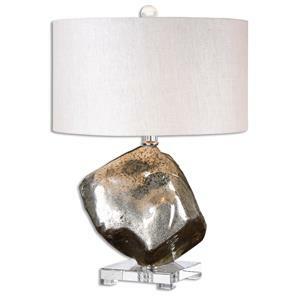 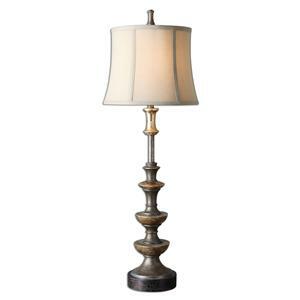 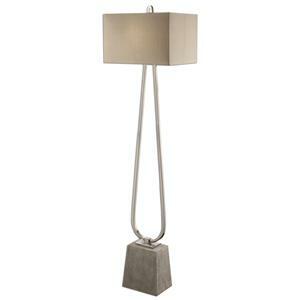 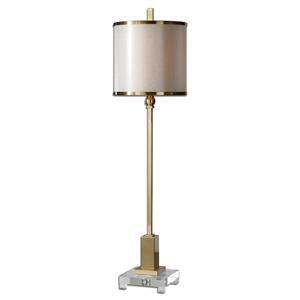 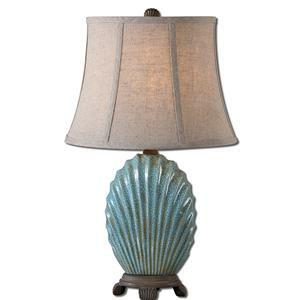 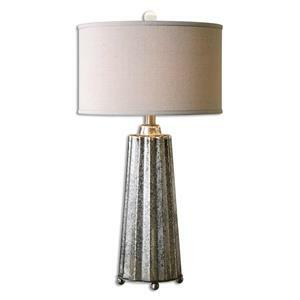 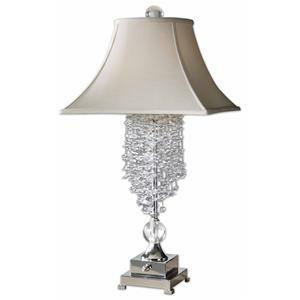 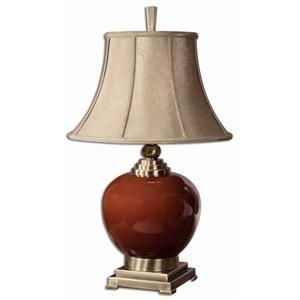 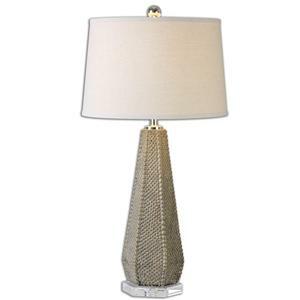 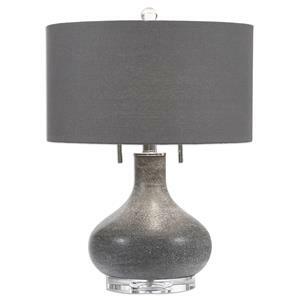 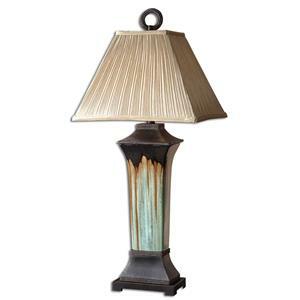 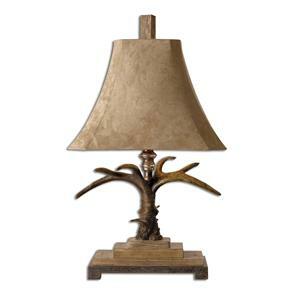 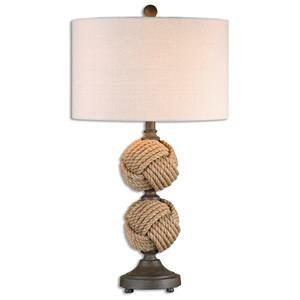 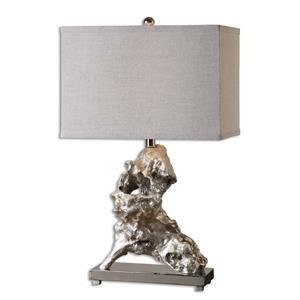 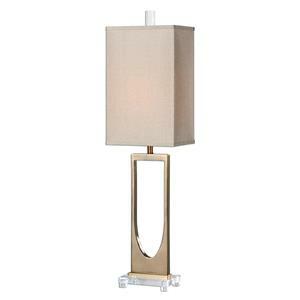 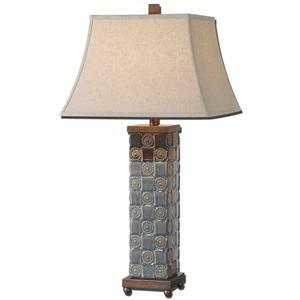 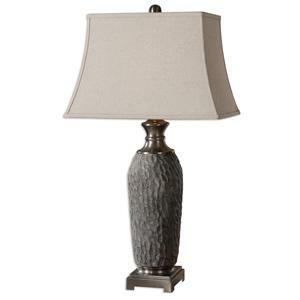 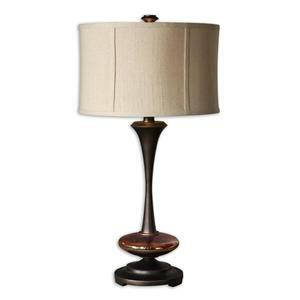 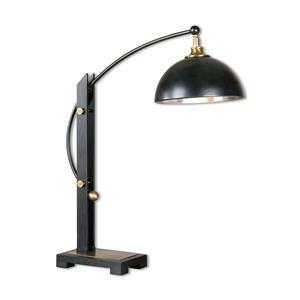 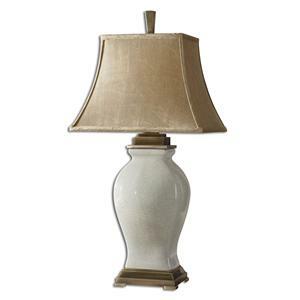 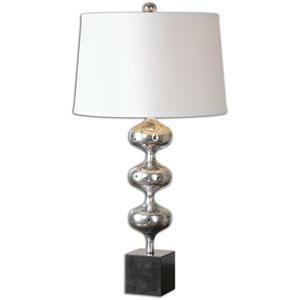 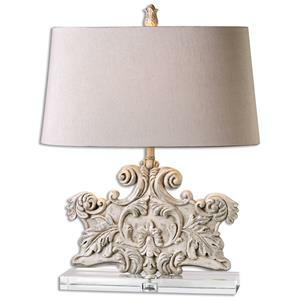 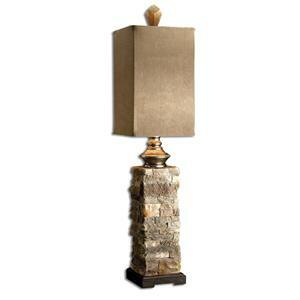 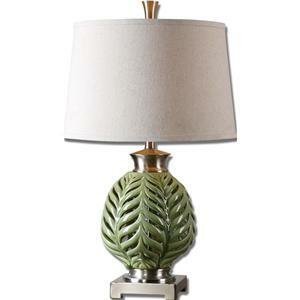 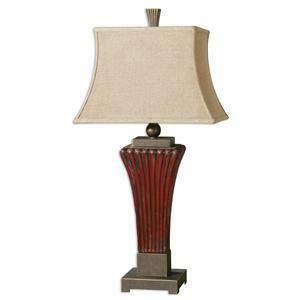 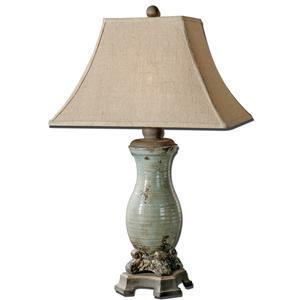 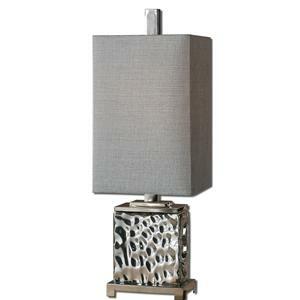 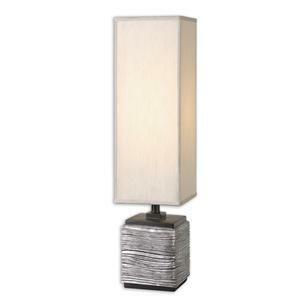 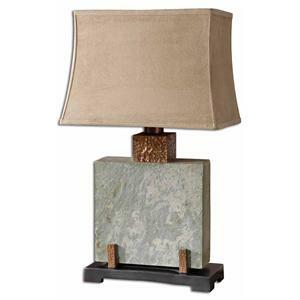 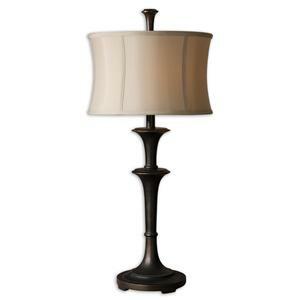 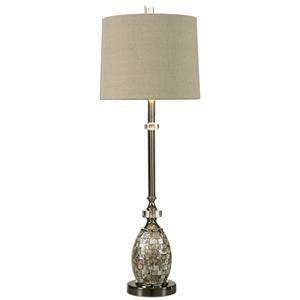 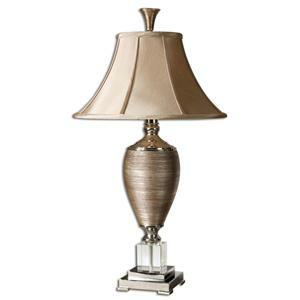 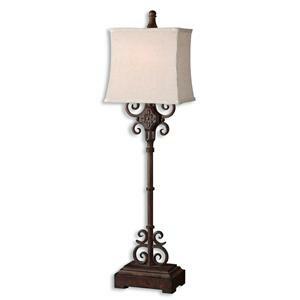 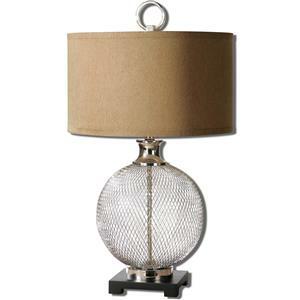 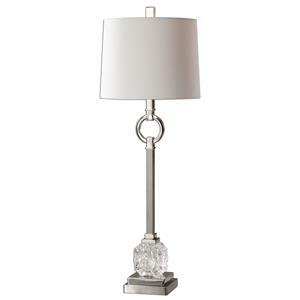 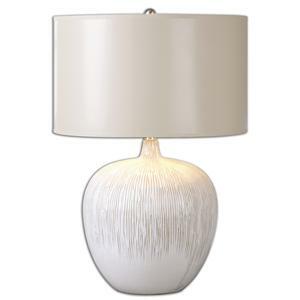 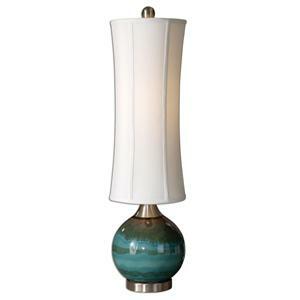 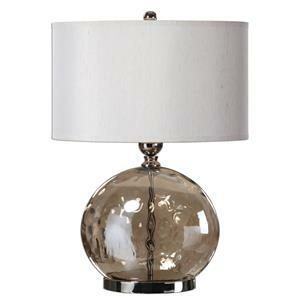 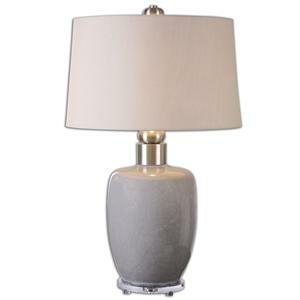 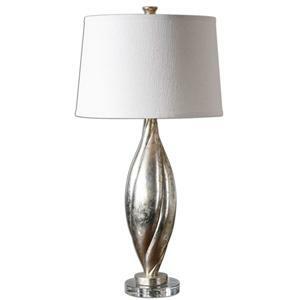 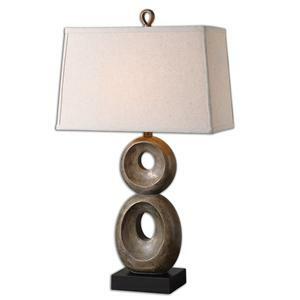 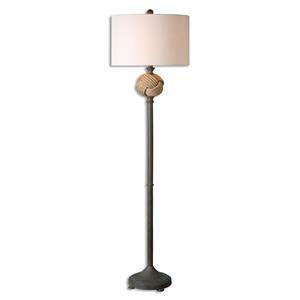 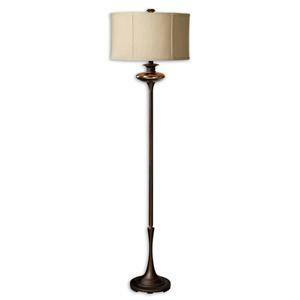 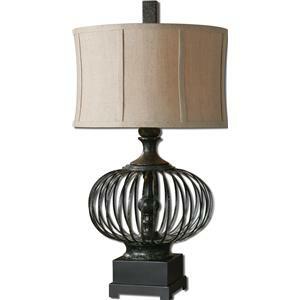 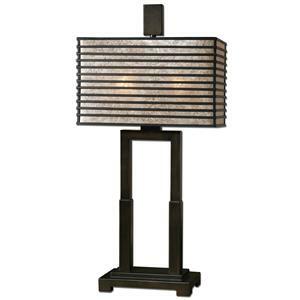 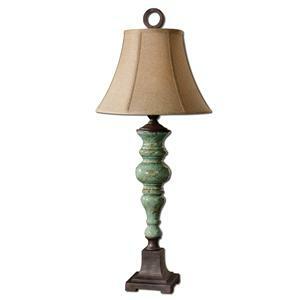 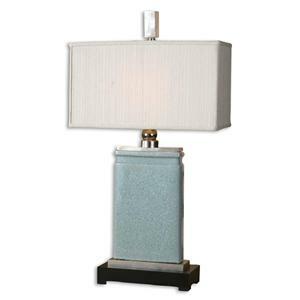 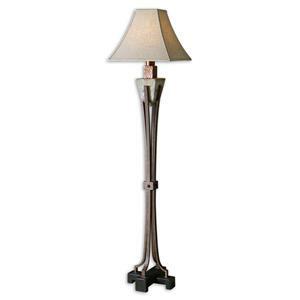 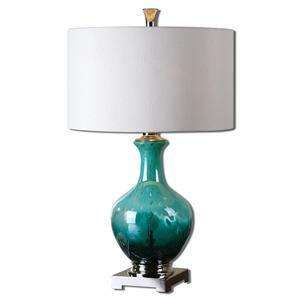 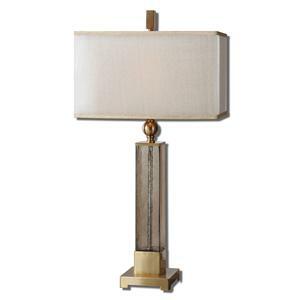 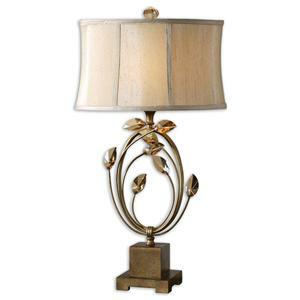 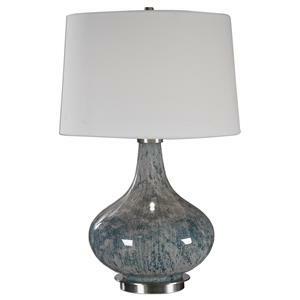 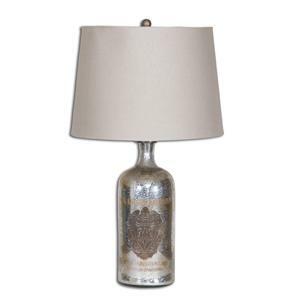 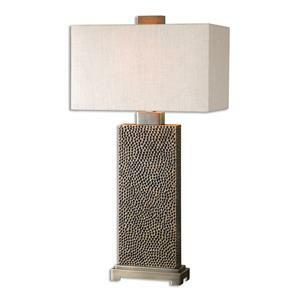 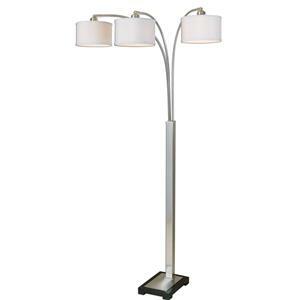 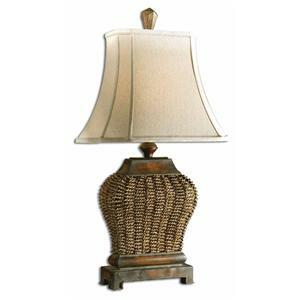 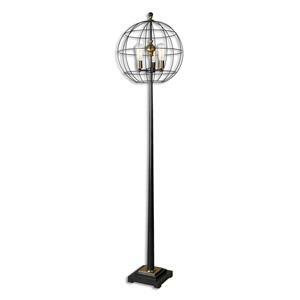 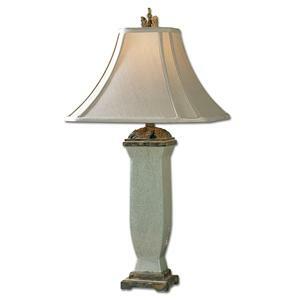 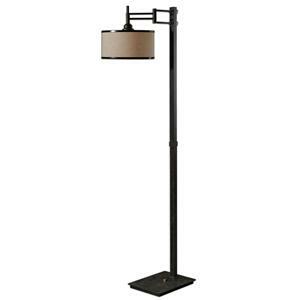 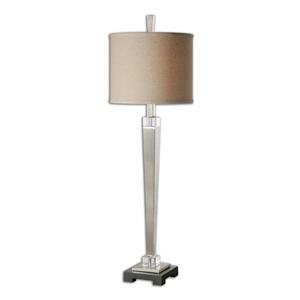 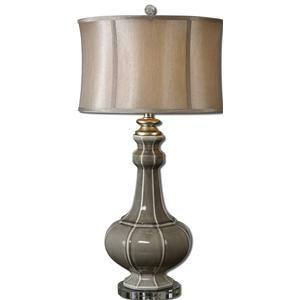 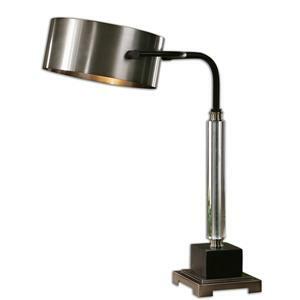 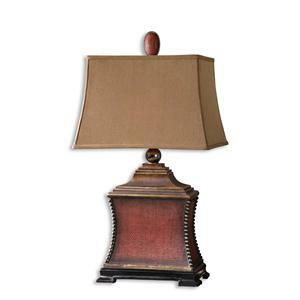 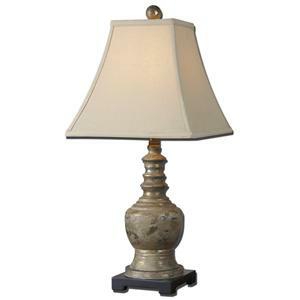 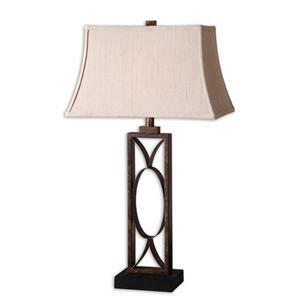 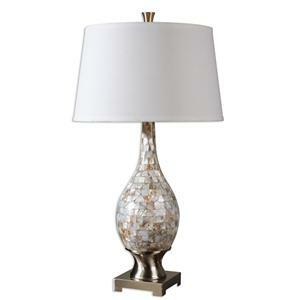 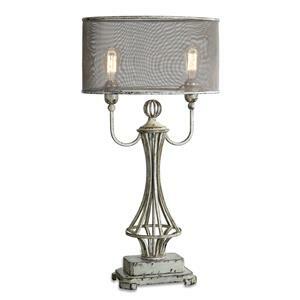 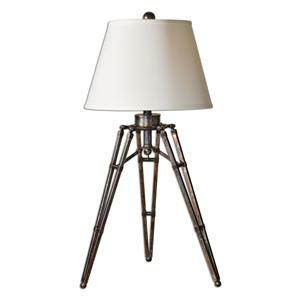 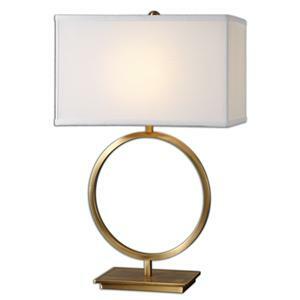 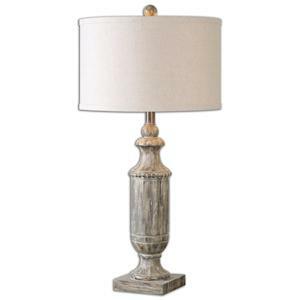 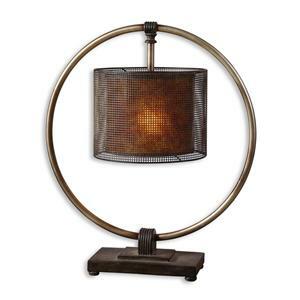 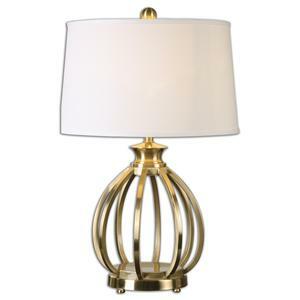 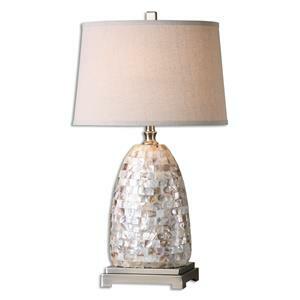 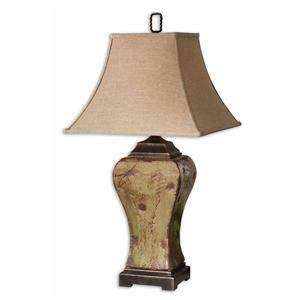 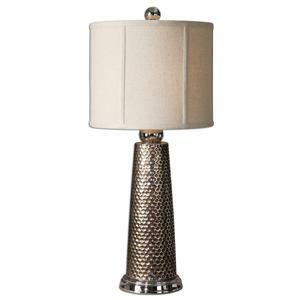 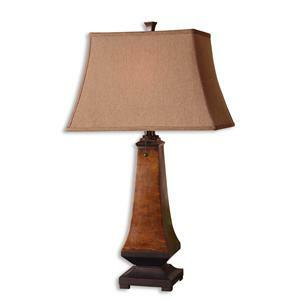 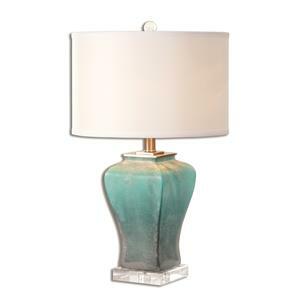 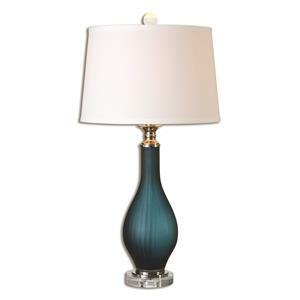 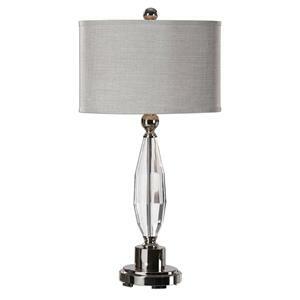 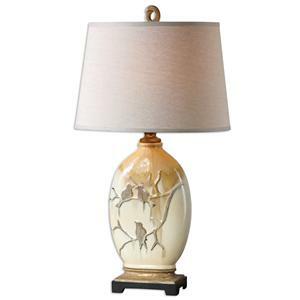 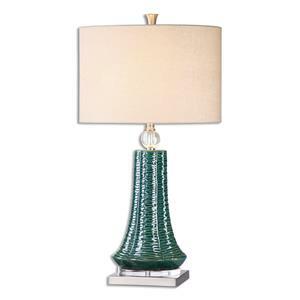 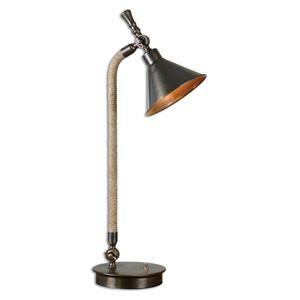 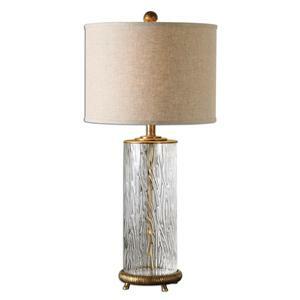 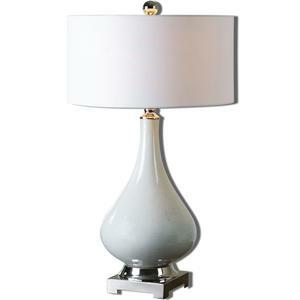 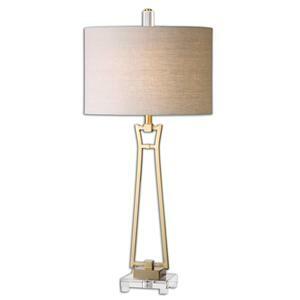 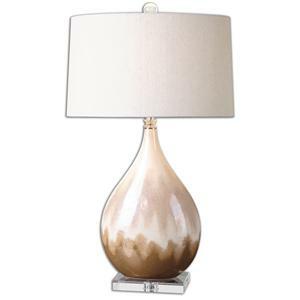 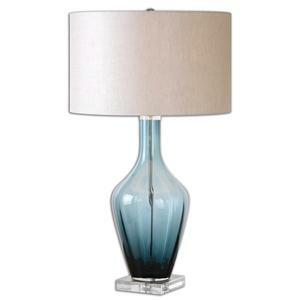 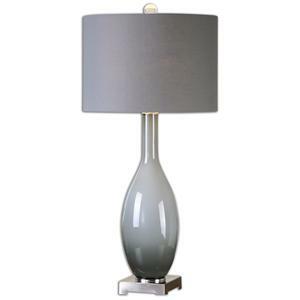 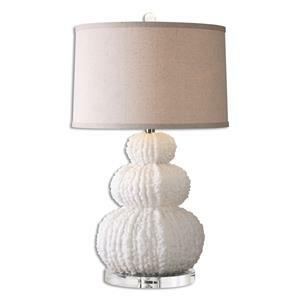 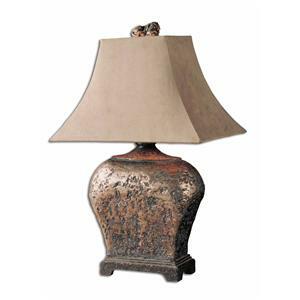 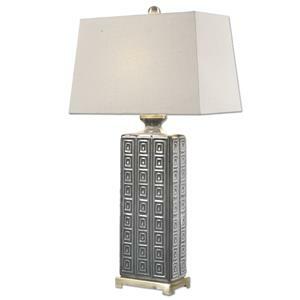 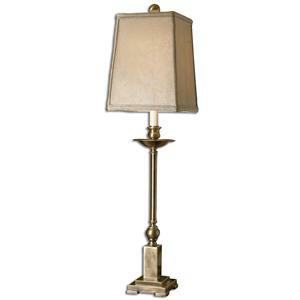 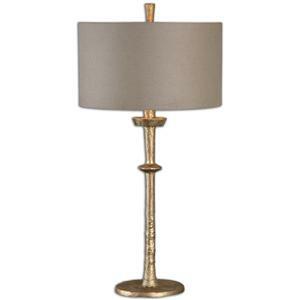 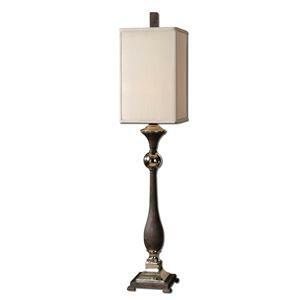 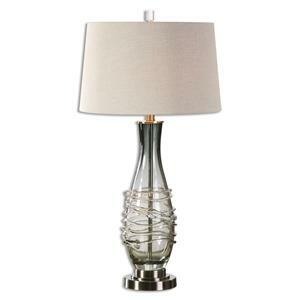 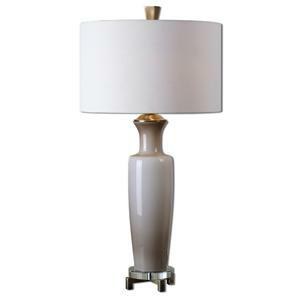 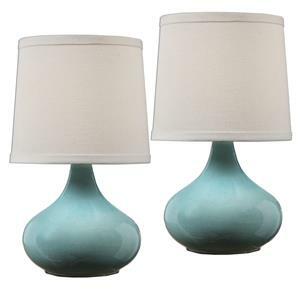 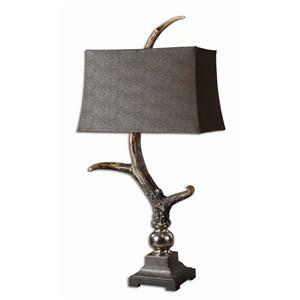 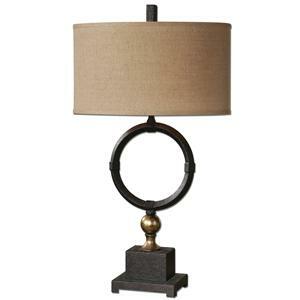 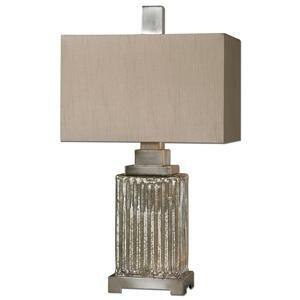 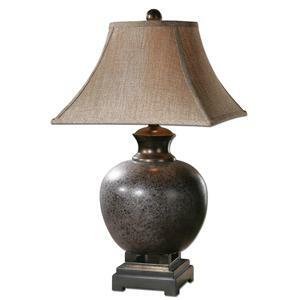 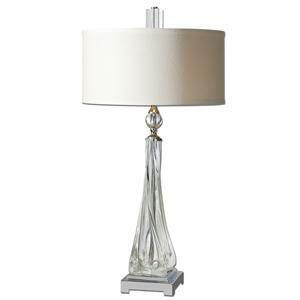 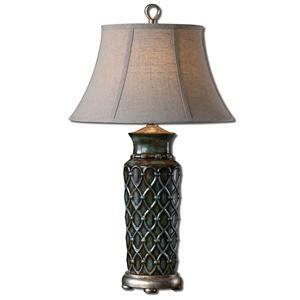 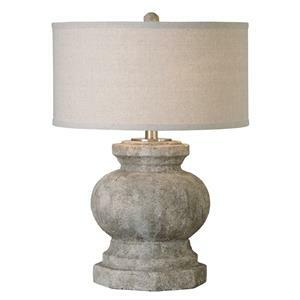 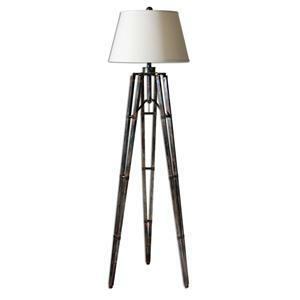 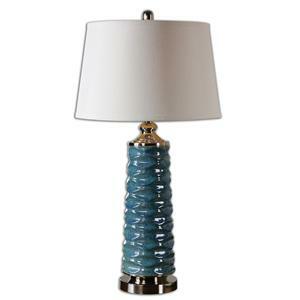 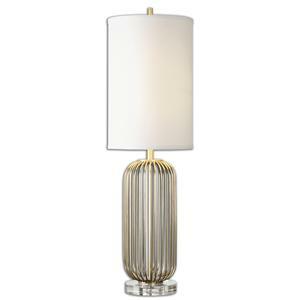 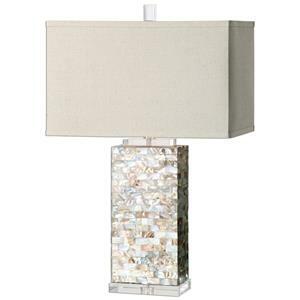 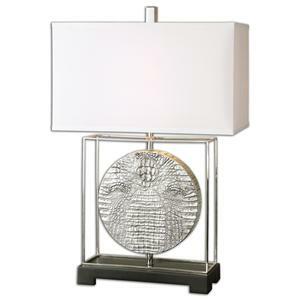 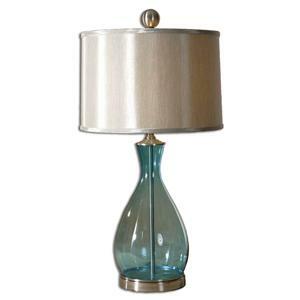 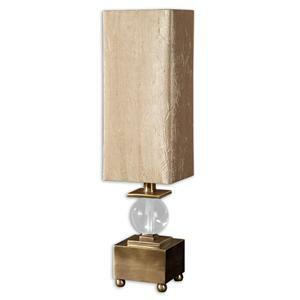 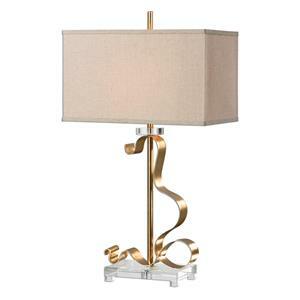 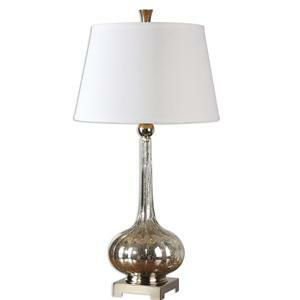 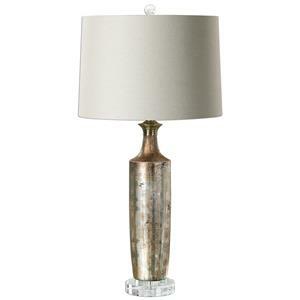 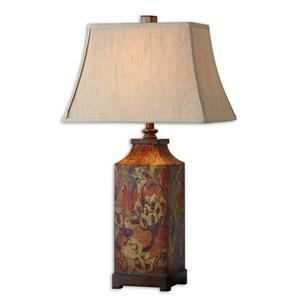 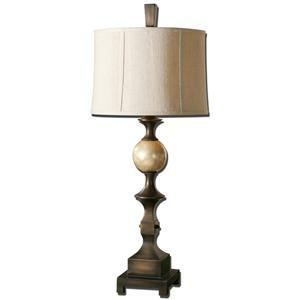 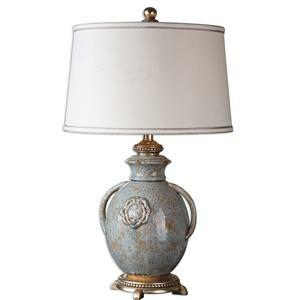 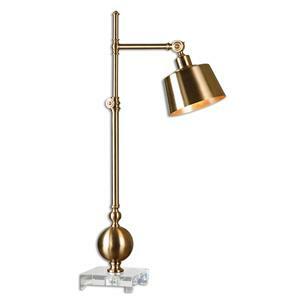 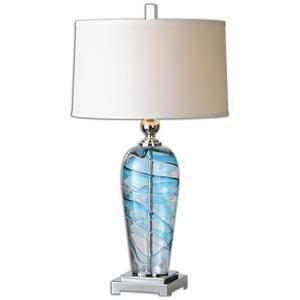 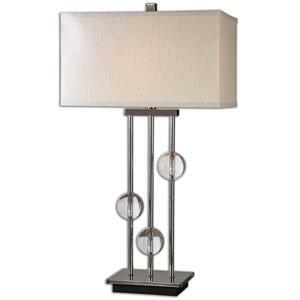 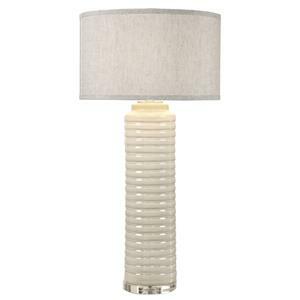 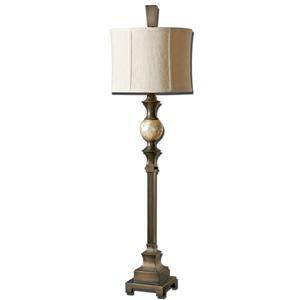 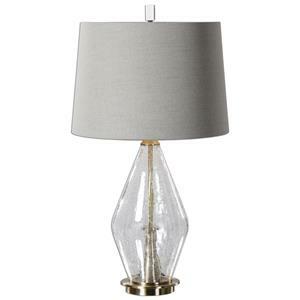 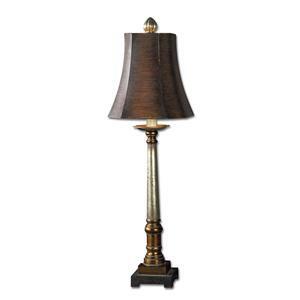 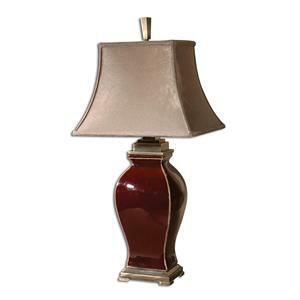 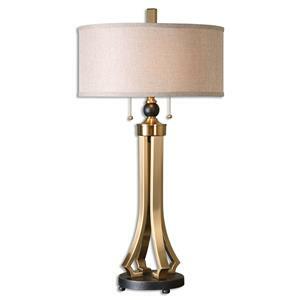 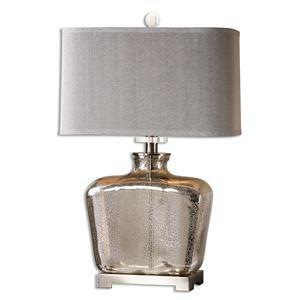 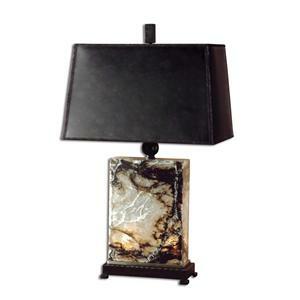 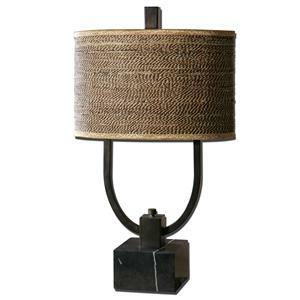 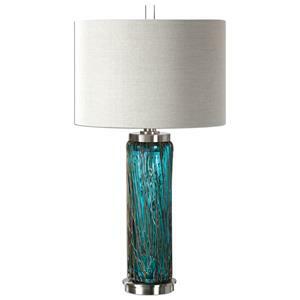 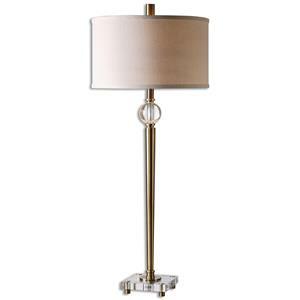 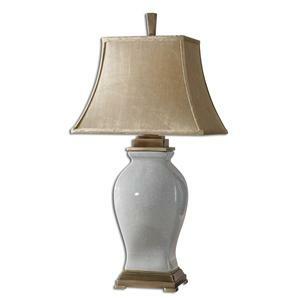 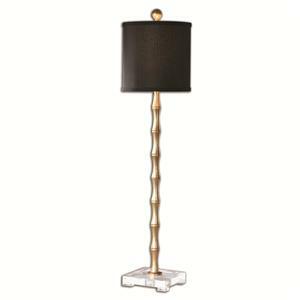 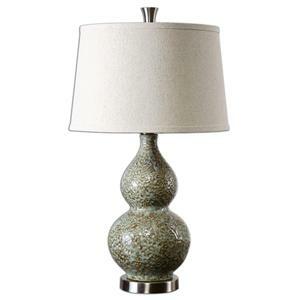 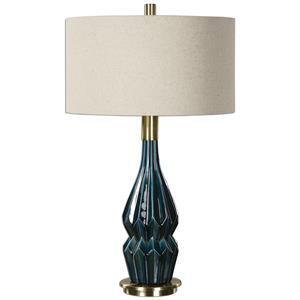 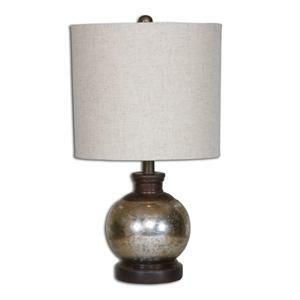 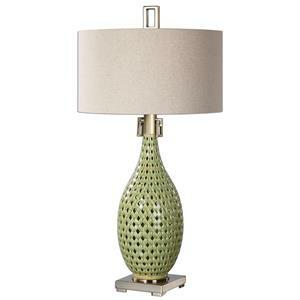 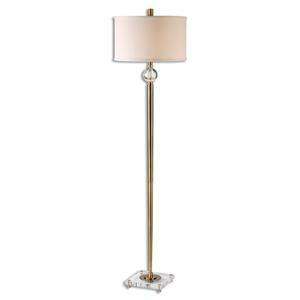 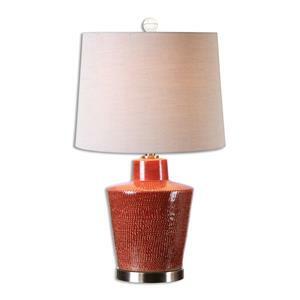 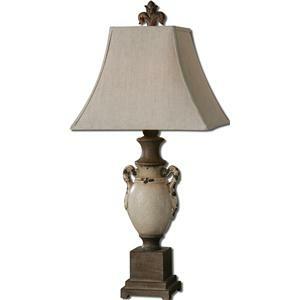 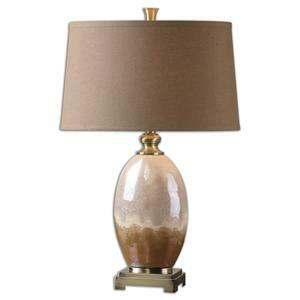 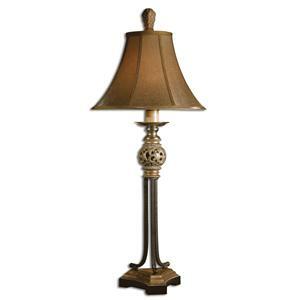 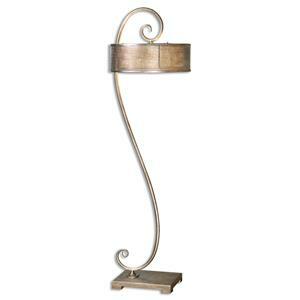 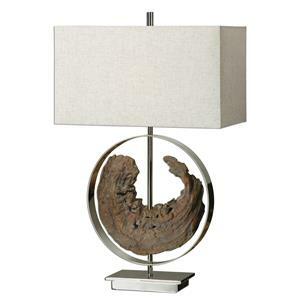 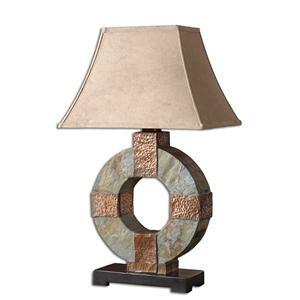 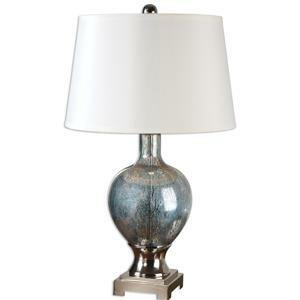 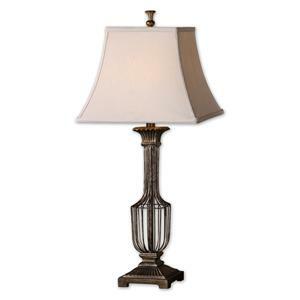 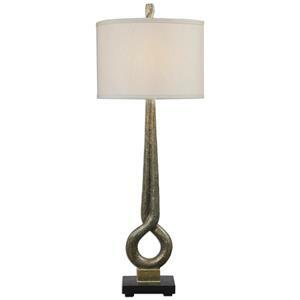 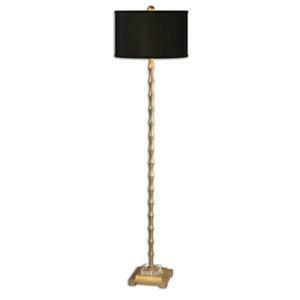 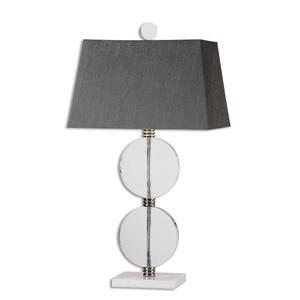 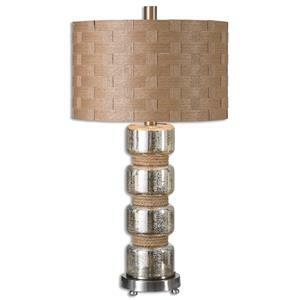 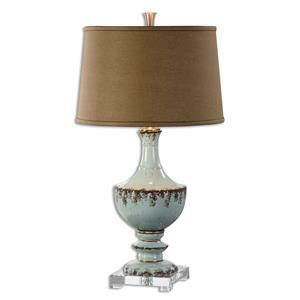 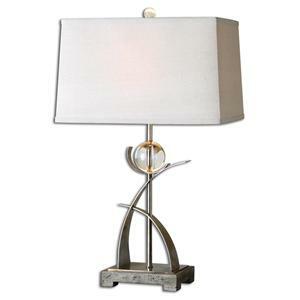 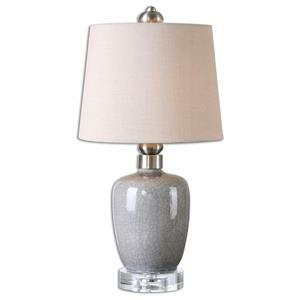 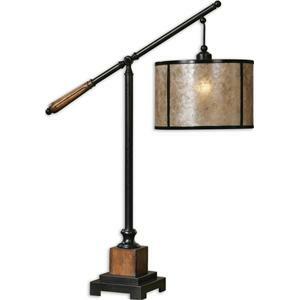 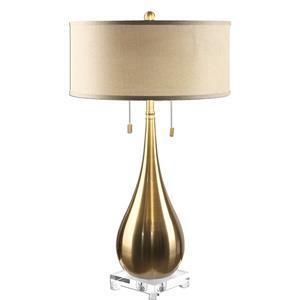 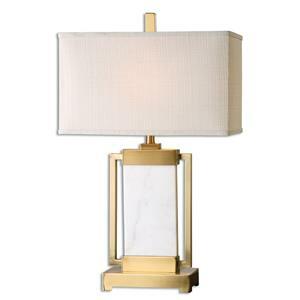 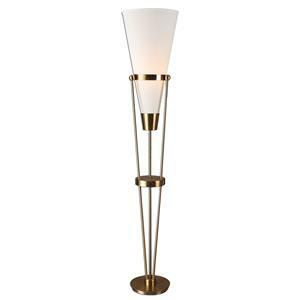 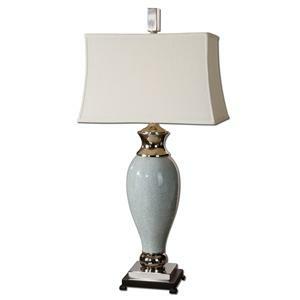 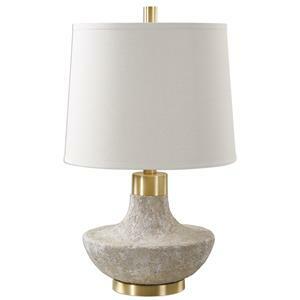 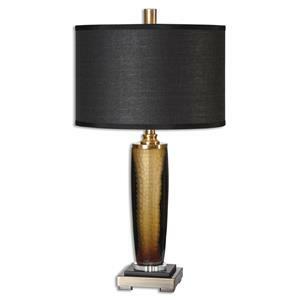 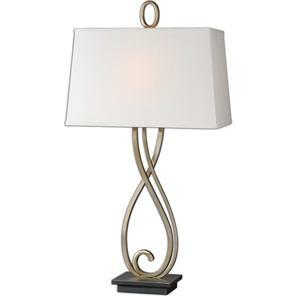 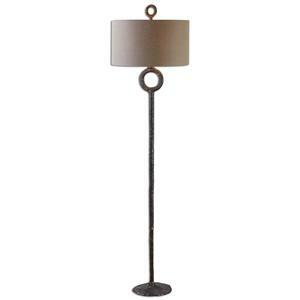 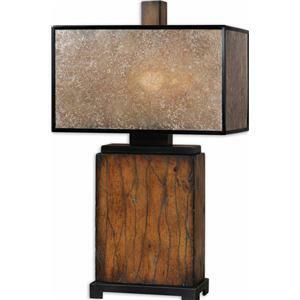 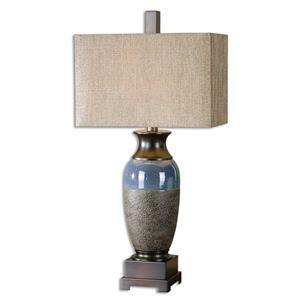 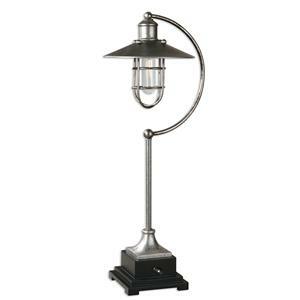 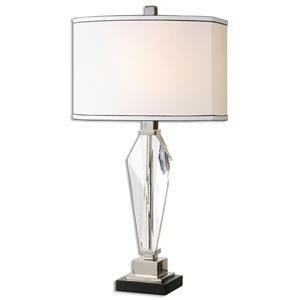 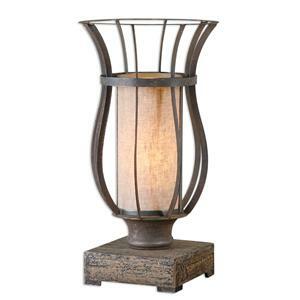 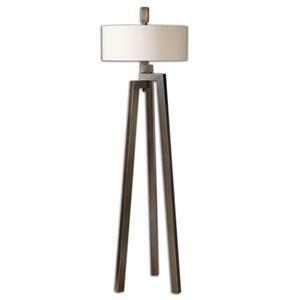 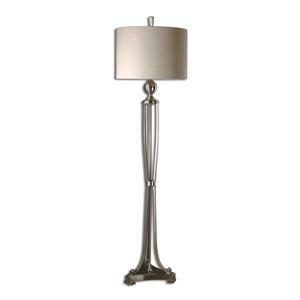 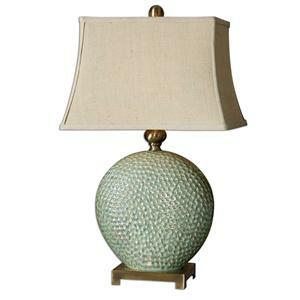 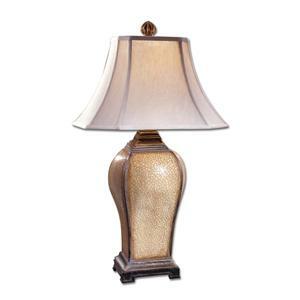 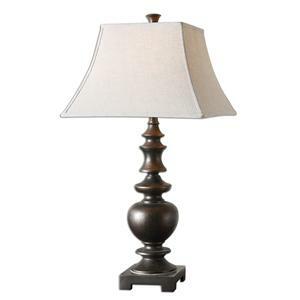 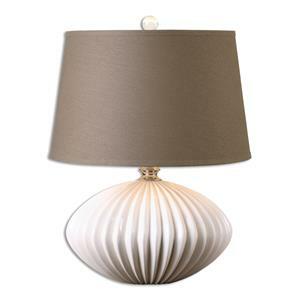 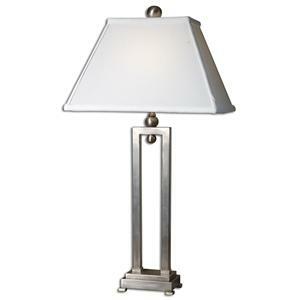 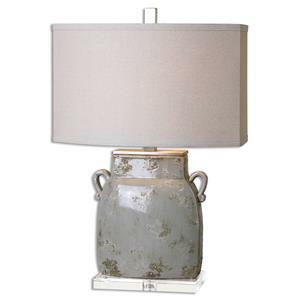 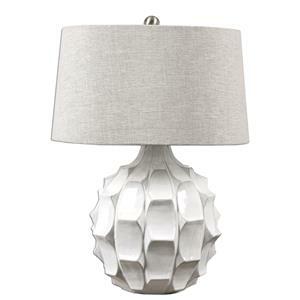 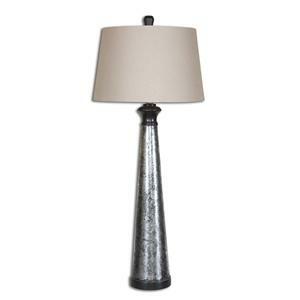 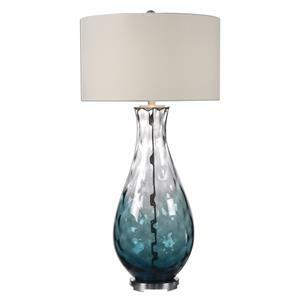 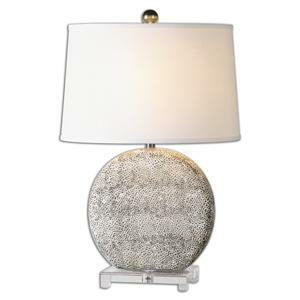 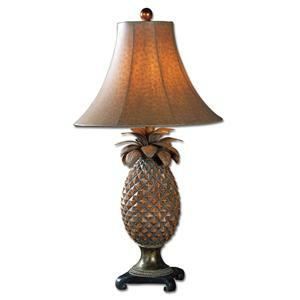 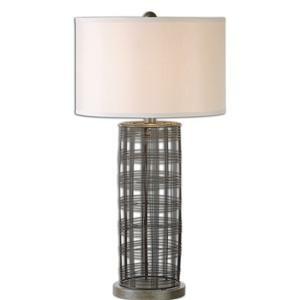 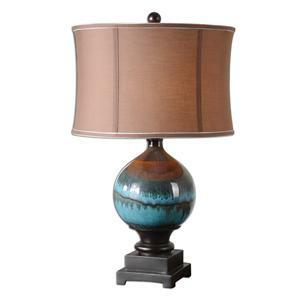 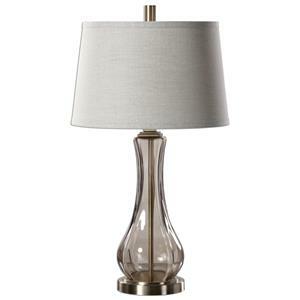 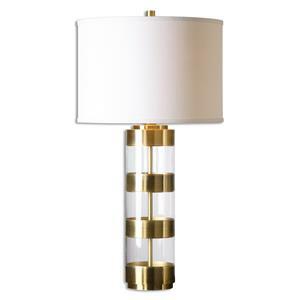 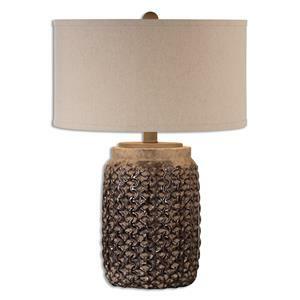 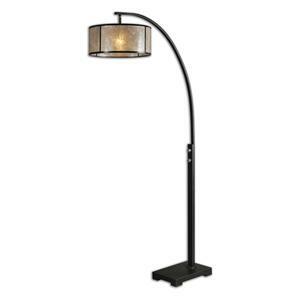 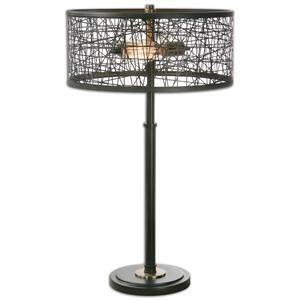 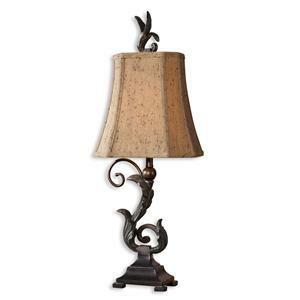 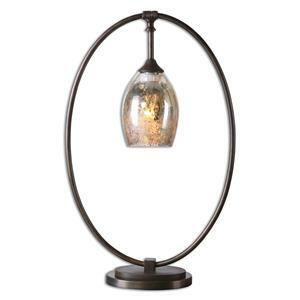 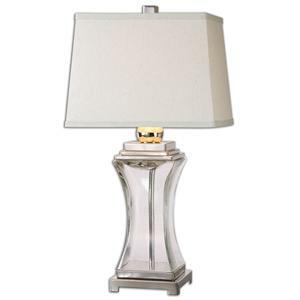 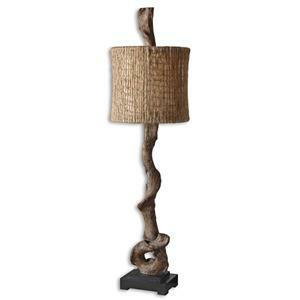 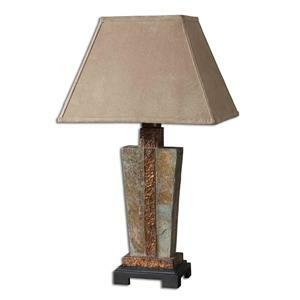 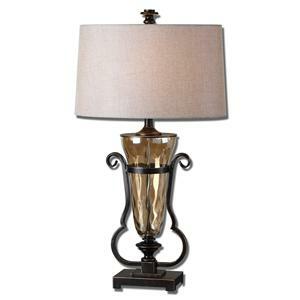 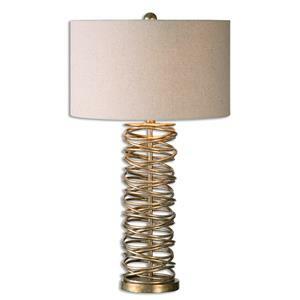 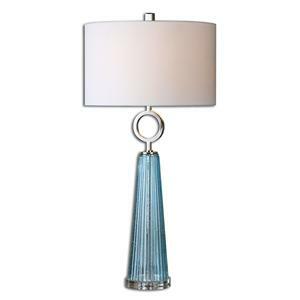 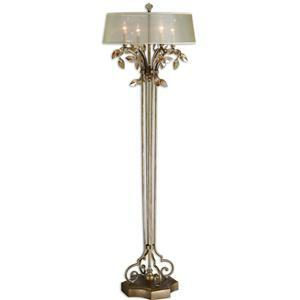 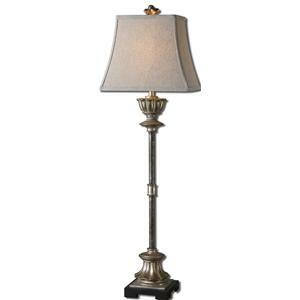 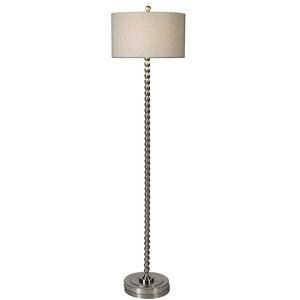 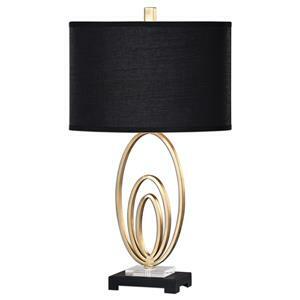 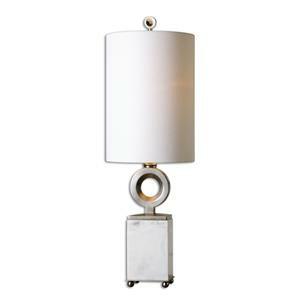 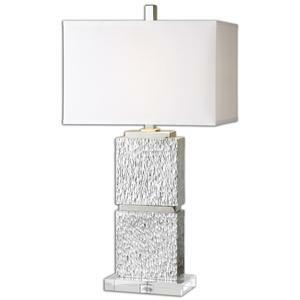 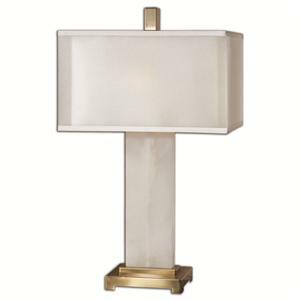 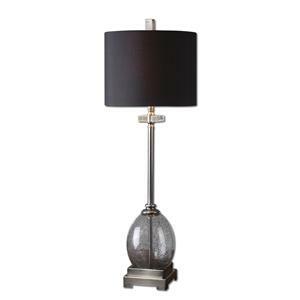 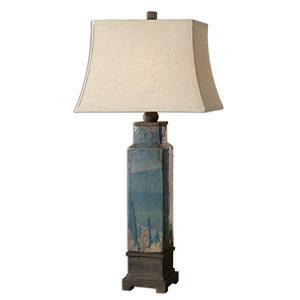 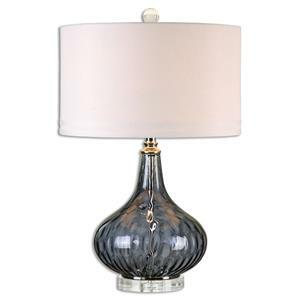 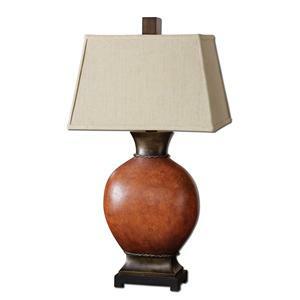 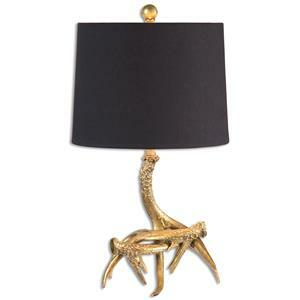 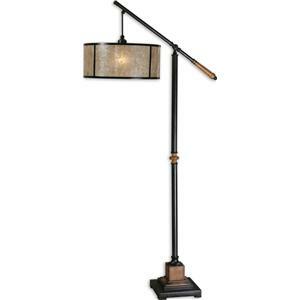 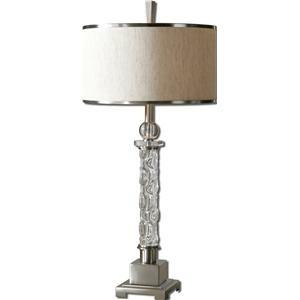 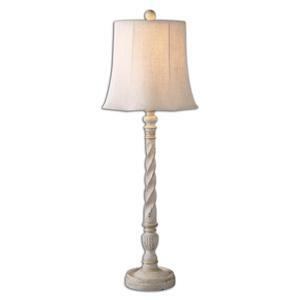 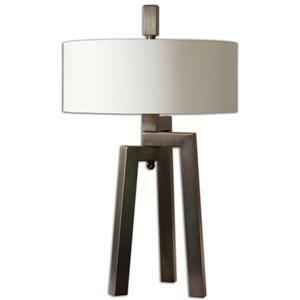 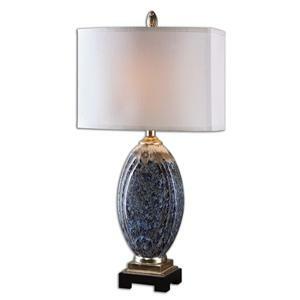 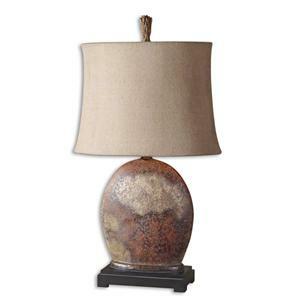 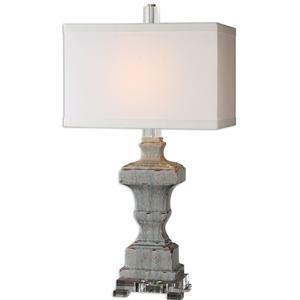 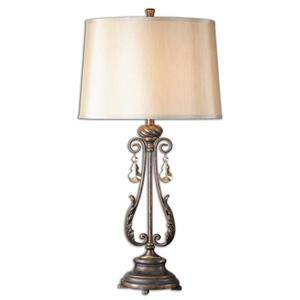 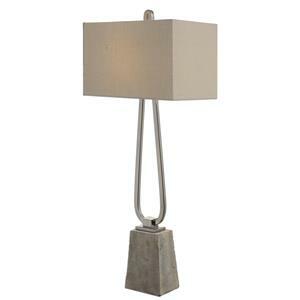 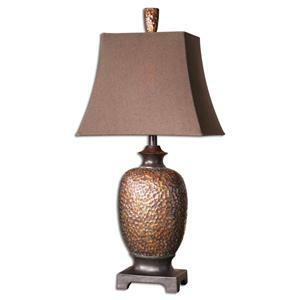 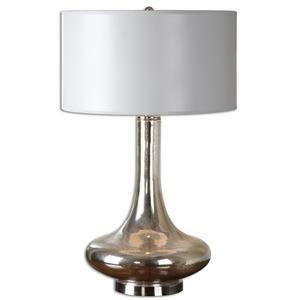 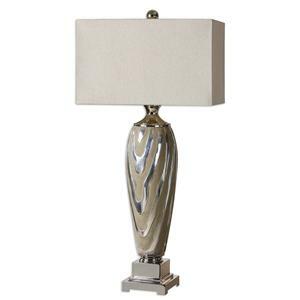 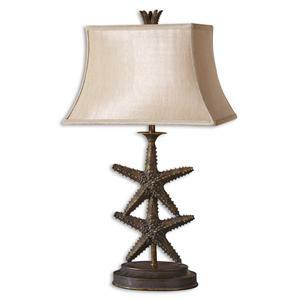 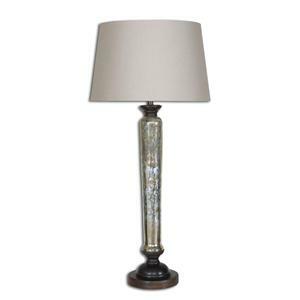 The Lamps Achates Emerald Agate Buffet Lamp by Uttermost is available in the area from BigFurnitureWebsite.